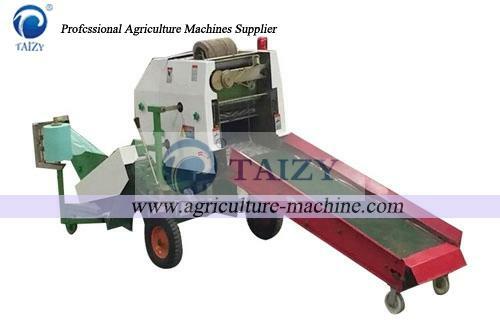 It is a full-automatic silage baling machine, being equipped with 6.6kw motor. 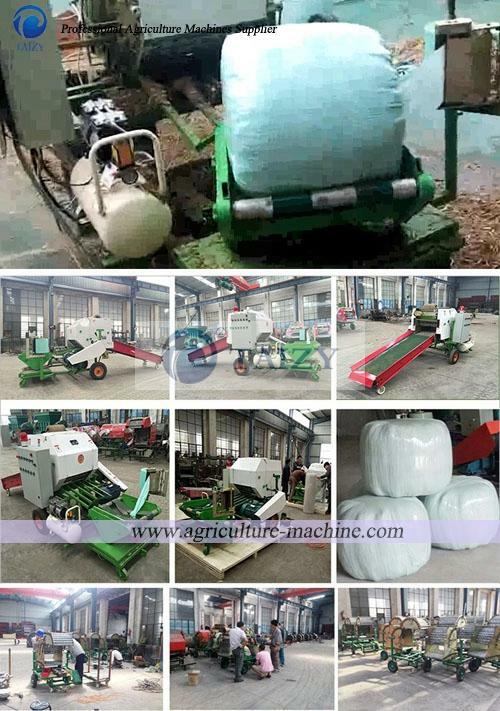 4500x1700x1500mm is its size, silage baling machine has high speed, that is, 50-70bundles/h. 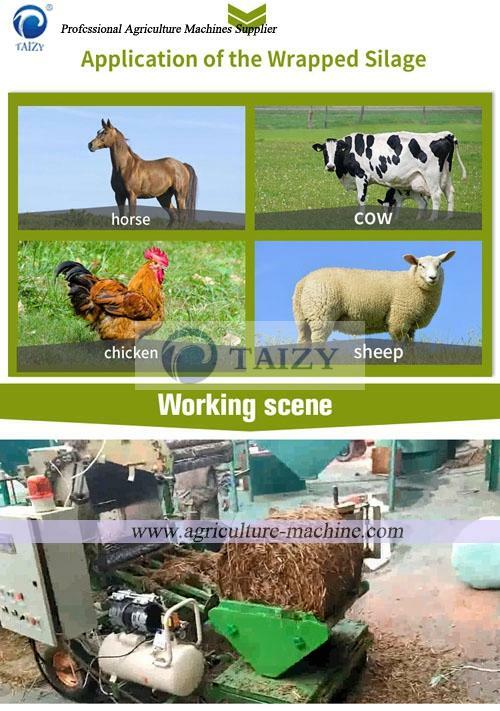 There are 2-4 coated layer, and bale density is 450kg/m3. It bears long storage time due to round shape with film,which can be used for feeding animals. 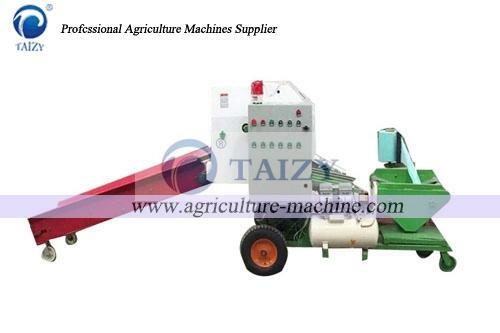 The raw material of hay and straw baler machine can be silage,fresh or dry straws of wheat, rice, soybean, corn, etc. 3.The bundles can move forward automatically and then are baled by plastic film.